There are many reasons to have a pool – a great way to stay shape, a place learn a life-saving skill, give the kids somewhere to play on a hot summer day or just a place to float around on a lazy day. But no matter where you do these things, there’s always going to be a bad weather day. A gusty afternoon will litter the pool with leaves, dust and dirt. Icy cold, rainy or even snowy weather doesn’t make for a very relaxing float. Extremely warm days can make it almost unbearable to be outside for any amount of time. That’s when a pool enclosure comes into play. Even in climates with snowy winters or scorching summers, a pool enclosure can keep your pool comfortable all year round. Swim 365 days a year with a pool enclosure. Keep it clean – With an enclosure, you no longer need to clean your pool daily, or even cover it all. Leaves, grass clippings, dirt and dust are all a thing of the past. This will keep the water cleaner with less chemicals as well long periods of time between pump filter cleaning or replacing. Enjoy the elements when you want – Outfitting the enclosure with sliding or staging doors allows you to let a blast of fresh air in whenever you want. Windows and vents will keep the humidity levels down as well. Nice, steady temperatures – Since it is no longer be affected by outside elements, your pool will remain a more constant temperature. No more swings from too hot to too cold. The Pool is Open – In locations where the temperatures consistently reach below freezing in the winter, many owners opt to drain the pool. With an enclosure, emptying and refilling the pool every winter and spring is a thing of the past. 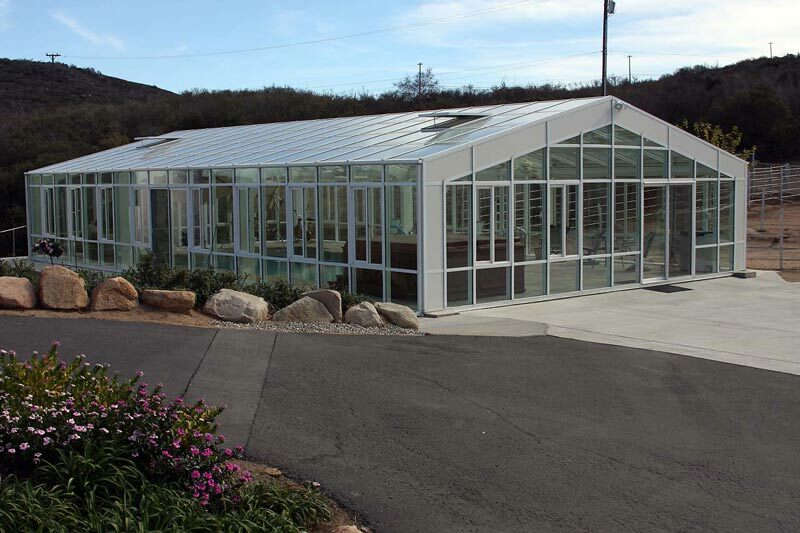 A pool enclosure will also add more livable square footage to your home, especially if you leave room for some deck chairs, tables or even a grill. With many different varieties of design and exterior and interior framing, an enclosure can be built to fit your style and to last for many years to come. Thinking of adding a pool enclosure? 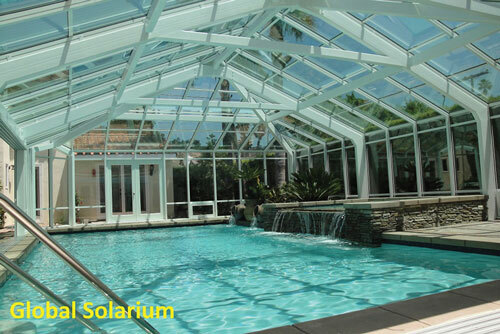 Contact Global Solariums today to see our wide range of styles, colors and window varieties to fit your needs.